No one wants their life’s work and all the data gathered over many years to be stolen by bad people, right? If your answer is no, then you need to consider buying a reliable security tool. Everything important on your computer and mobile device will stay safe once you do that. Your device’s performance won’t suffer lagging, so don’t worry about that. Just make sure you find the right security option for you and your devices. AVG Technologies is one of the leading names in the industry of security software. It was founded in the Czech Republic in 1991. The products this renowned company release and continue to create each year have received valuable prizes throughout the years. 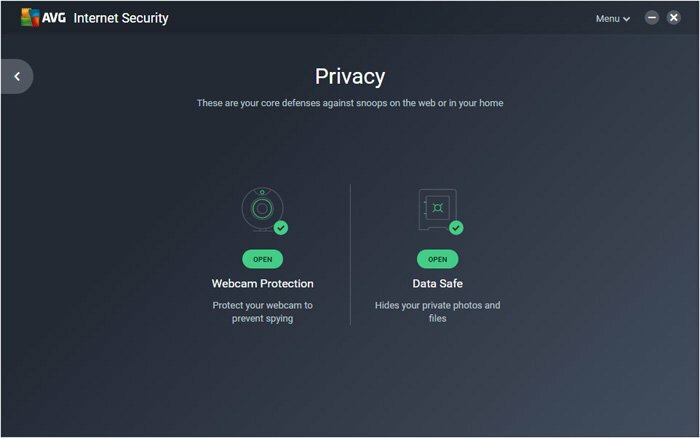 AVG was bought by Avast in 2016. As of now, the antivirus benefits from a shared engine that protects against online threats. For today, we recommend the company’s AVG Internet Security, which includes antivirus functionalities and specific Internet security features. Below we have more details on this version, including system requirements, installation, features and so much more. Let’s begin our in-depth review! can’t run on a device if said device doesn’t meet certain system requirements. The most important one is the operating system. This security solution works and offers complete anti-virus protection only with Windows XP (Service Pack 3), Vista, 7, 8 and Windows 10. Also, the AVG Internet Security is compatible with Mac (OSX 10.8 Mountain Lion or above) and Android (Android 2.2 Froyo or above). We installed the latest AVG Internet Security version on computers featuring Windows XP, Windows 7 as well as the latest Windows version. We wanted to see whether or not there were problems during installation or if there were interference with the operating system after the complete installation was done. As far as hardware configuration goes, we used computers with an outdated hardware (512MB RAM, an Intel 1GHz processor), as well as PCs with a medium and high configuration power (Intel Core i7 processor, 16GB RAM). We had no issues in either case during the installation process. Everything went smoothly each time and the installation process took very little to complete. 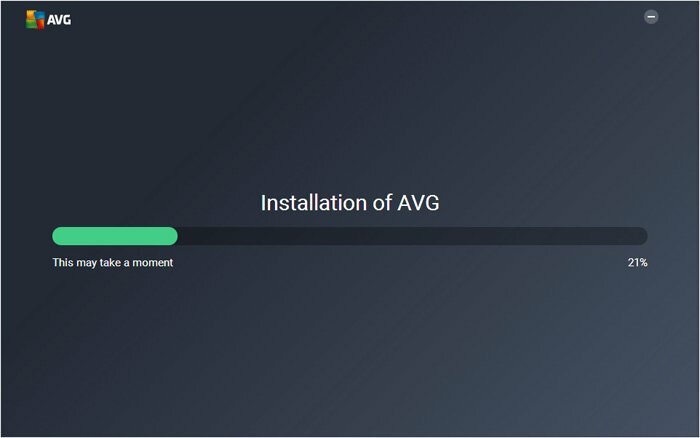 AVG allows for a customized installation of the antivirus if you want to have certain modules. Same goes if you wish to benefit only from some antivirus features instead of all of them. After the installation is done, the AVG 2019 requires the creation of an account associated to the product. That way you can get access to all of its features. To make an account, you need an email address and a password. If you already have an account, you can connect to it using your credentials. The user interface of the AVG Internet Security 2019 is simple, intuitive and easy to use. No matter if you’re a beginner or you know your way around a computer. The design is modern and it features access tabs for the main capabilities. Depending on your needs, you can add other personal devices that need protection straight from the product’s interface. Using the main screen, you can access and possibly buy other useful features to protect and improve your PC’s performance. As with all the other antivirus products we tested, we’ll now discuss the main and secondary features of the latest AVG Internet Security version. We will now offer an in-depth analysis of the AVG Internet Security 2019 after having tested all the features above. The antivirus module features extended protection against viruses, malware, worms and Trojan horses. As usual when we perform reviews for security solutions, the first thing we look at is the way they react when an EICAR testing file is around. We downloaded the file on our computer to check the AVG antivirus’s reaction speed when a possible online threat appeared. The module had a quick reaction: the EICAR was blocked and moved to quarantine after only a couple of seconds. Another interesting thing about this security product is that its antivirus module includes different predefined types of system scanning. There’s five of them and they work against virus / malware threats: Computer Scan, Deep Scan, USB/DVD Scan, File or Folder Scan and Boot-Time Scan. 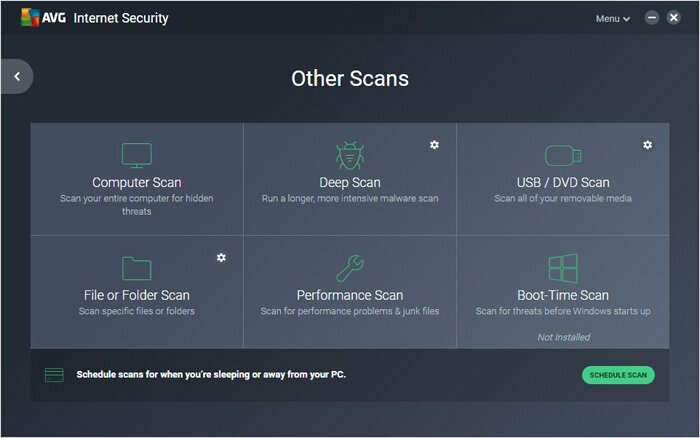 We tested the antivirus scanning module as a way to determine how a computer’s speed was influenced by it. We also wanted to see the number of infected files identified by the solution. 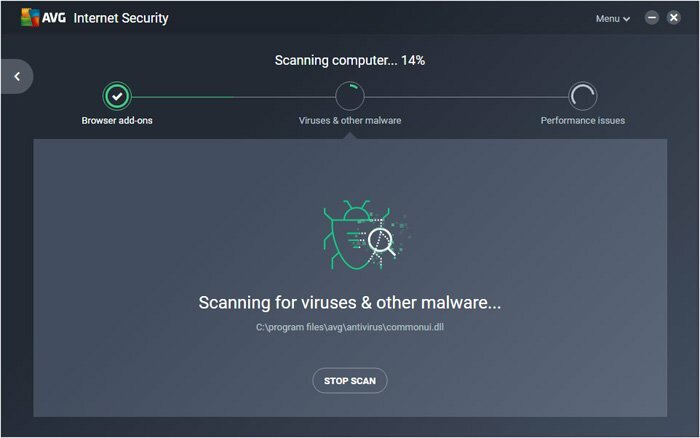 The AVG Antivirus 2019 doesn’t do well on PCs with an outdated hardware: starting a scan affects their speed considerably. This doesn’t happen when dealing with computers that feature more than 2GB RAM and a 1.5GHz processor. The scanning speed and the speed of locating infected files are good. As is the detection rate. The infected files identified by the antivirus module of the AVG 2019 are automatically moved to quarantine. The user is the one who decides whether or not they should be kept. During our tests for this review, we didn’t encounter false-positive errors. This is why it’s recommended to delete the files that go to quarantine. They’re most likely infected with malware or viruses, so keeping them isn’t a good idea. 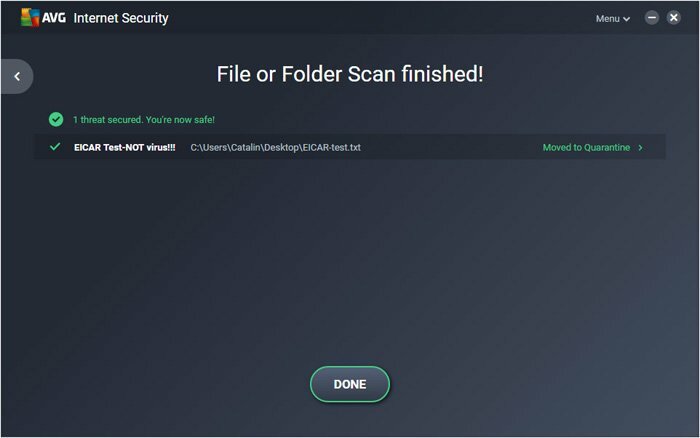 A very useful option of the antivirus module: the possibility to scan the system before the OS starts. To make it happen, you need to install and activate the module dedicated to this action. Once installed, you can initiate a full system scan when the booting starts. This feature is similar to the one on ESET NOD32, whose review we recently published. 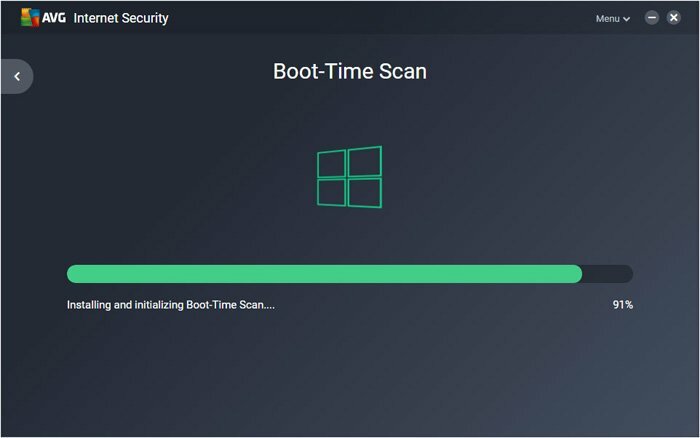 Boot-Time Scan can be used successfully when you deal with a persistent infection of the OS. We tested such a scenario for this review. Results were excellent: the operating system was cleaned after using this type of scanning. Overall, the antivirus module featured on the AVG Internet Security 2019 is robust and you can fully trust it. 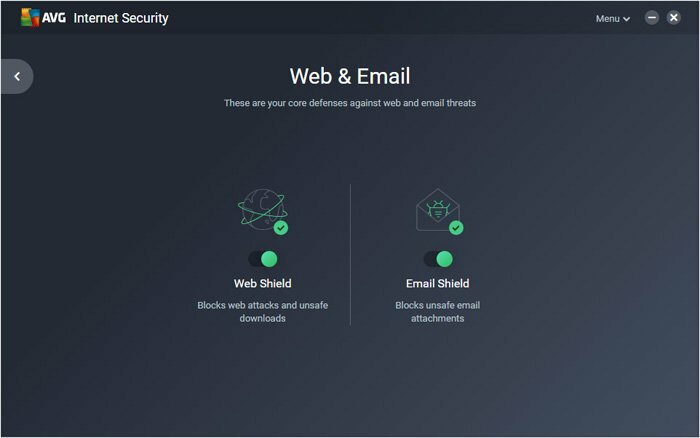 AVG integrated their latest security suite with a Firewall-type module which can protect your computer against hackers and their attacks. The activation of the firewall module offers non-stop monitoring of both traffic as well as your Internet and network connections. All future IP attacks are blocked in real-time by the firewall, with the user receiving a notification about it. We performed several tests to check if the firewall was efficient when it came to blocking hacker attacks. For this, we simulated a cyber threat against a closed network of computers. Results were great every single time. 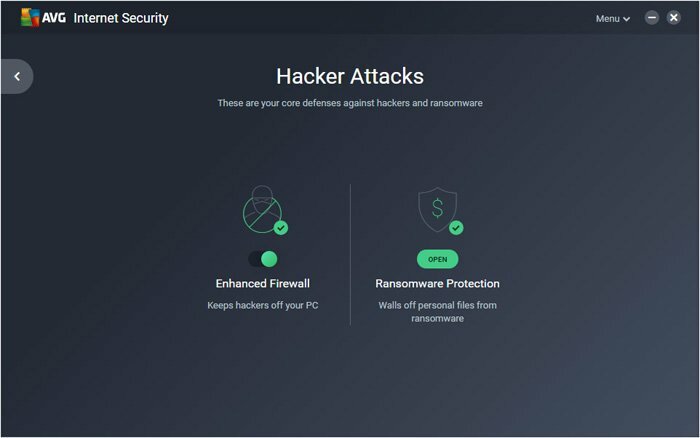 The latest AVG Internet Security version blocked all the attacks before the testing tools could access the PCs via a network connection. The number of ransomware attacks has increased by more than 200% in 2017. This is one of the reasons AVG have decided to include a ransomware module in their security suites. We tested it for our review to see how it looks and works. The module can be preset as Smart and Strict. The first option lets you modify the files that are set in advance by certain applications believed to be trustworthy. The second option doesn’t let you change files without permission, no matter the application that requests it. 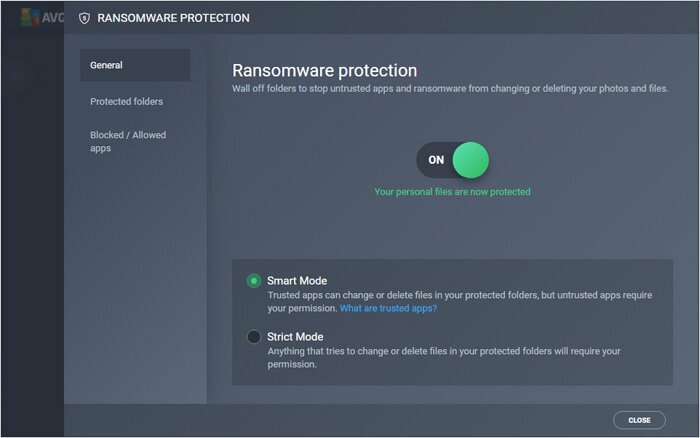 The ransomware protection module allows the preset of folders that will be protected. 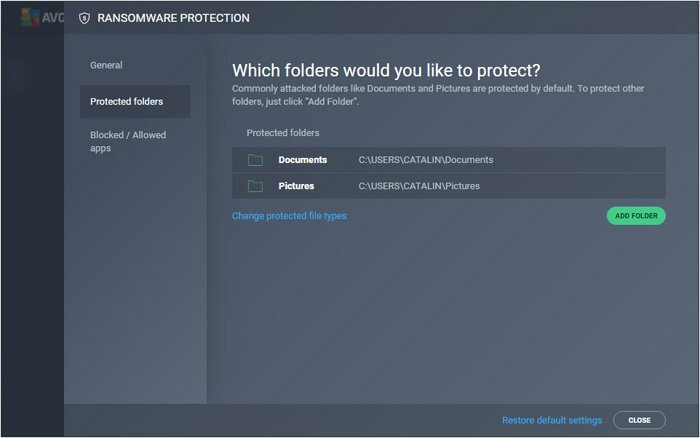 If, for example, you have a series of important files you want to keep safe against ransomware, it’s enough to create a folder and group them there. You will then be able to add them to the security solution’s interface. 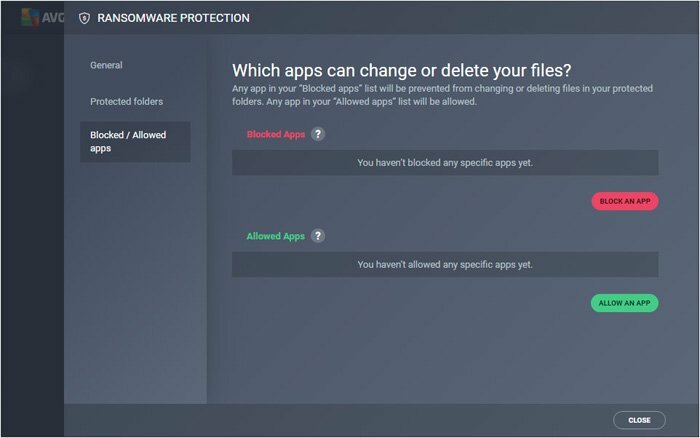 This module lets you select both applications that are considered trustworthy, as well as those which don’t require access permission for protected files. If you have Word or Excel files in the protected folders, you can establish the Microsoft Office as the only instance that can access and modify these files. The system will be protected in the case of an attack. The hacker won’t be able to initiate file encryption on them. This module can be accessed in the Privacy area. By activating it, you can make certain files stay hidden in your computer. Only you can open them. The folders that are protected can’t be accessed without a password you set beforehand. The module’s interface is easy to understand and use. What you need to remember is that the files protected with a password are encrypted, so don’t forget that password. If you do, you won’t be able to access the hidden files. 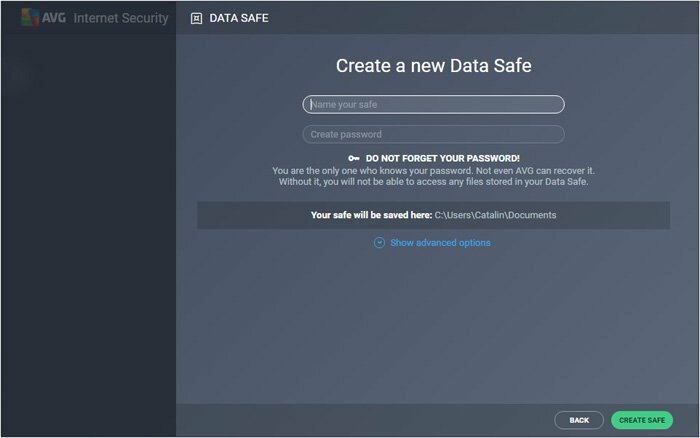 Every time we do a review, we test the Data Safe featured on a security solution. The one on the AVG Internet Security 2019 is very good. By using this antivirus, you can be 100% sure that your private files won’t be viewed by strangers. The module that delivers protection against illegal accessing of a web cam has three work options: Smart, Strict and No mercy. The first of them offers access to your web cam only to those applications that the product considers safe. The second mode allows access only after user confirmation. 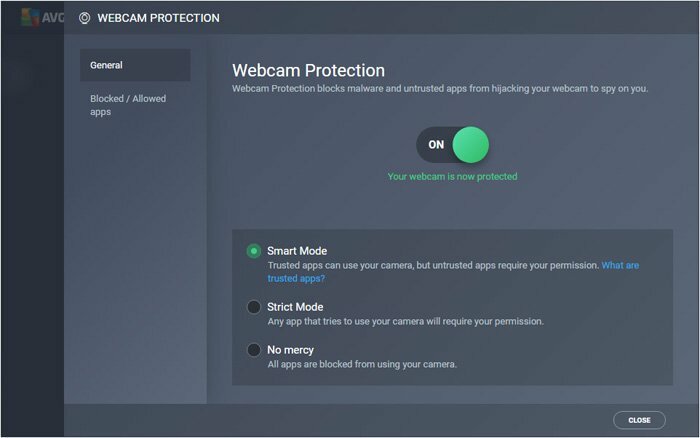 The No Mercy option blocks access to the web cam to all applications. 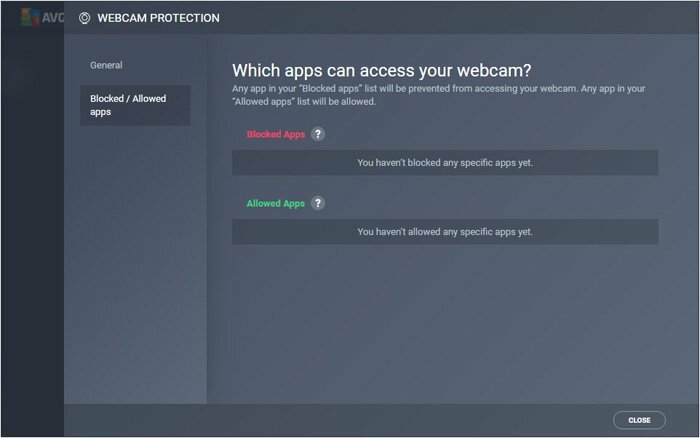 This module lets you organize a list of applications that can or can’t have access to your computer’s web cam, depending on your needs. If, for instance, you use Skype, you can add it on the list of Allowed apps. The rest of the applications won’t have access to it. We tested the antivirus to see if the Webcam Protection module worked as it should. The results showed that it did. With the AVG Internet Security 2019, you won’t have problems with people trying to access your web cam illegally. The Web shield module delivers protection against threats that might appear when you use the Internet. The application blocks cyber threats and the download of harmful files. During our tests, we discovered that this module protected a computer from these two types of online threats. The role of the Email Shield module is to block the download of dangerous or infected files that come with solicited or unsolicited emails. The blocking of harmful attachments is done automatically after the antivirus module scans them. When testing the Email Shield, we noticed that it managed to block every email featuring an infected file in its attachment. If you’re bombarded with this kind of emails, the AVG Internet Security 2019 offers the necessary protection against them. The File shredder module delivers protection from the retrieval of deleted data. If you have sensitive files you want deleted from your PC’s hard drive for good, this module can be of real use. We put the File Shredder through some tests. We wanted to see if data was efficiently removed. After using the module, we tried retrieving the files using different dedicated software applications. No matter the retrieving method we considered, the data that was deleted with the File Shredder couldn’t be restored. 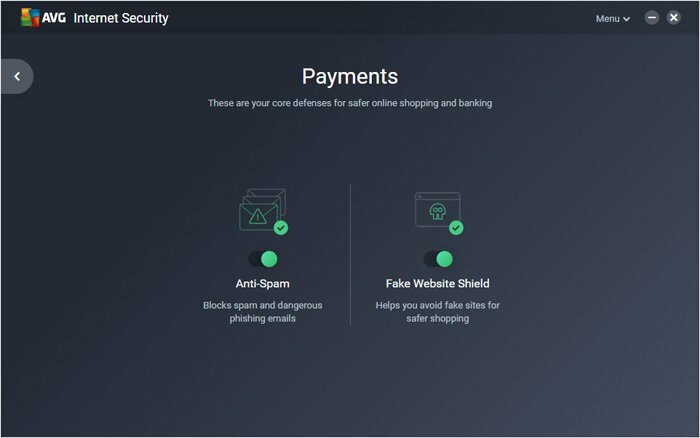 The Antispam module delivered with the new AVG Internet Security 2019 can block all kinds of email spam. You’ll find it in the Payments area, which, as its name says, is dedicated to online payment. To activate the Antispam, you need to install it separately by going straight to the product’s interface. You won’t have to pay anything to do this. During our testing for today’s review, we also analyzed the way the Antispam worked. We were very surprised to see just how efficient it was. After its activation, all spam emails were fully filtered. 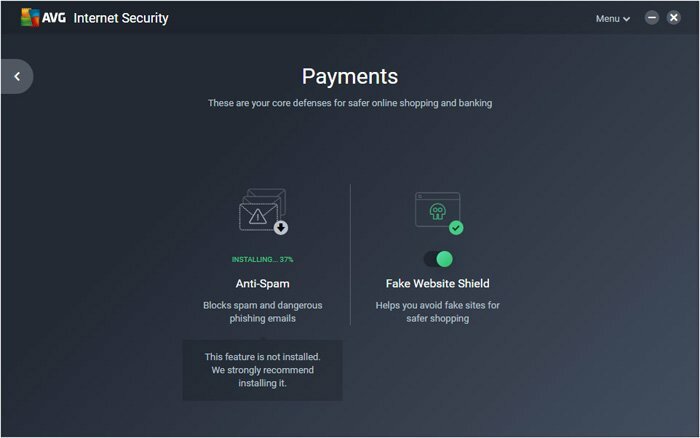 Another interesting module featured on the 2019 version of the AVG antivirus is called Fake Website shield. It allows for an automatic identification of phishing-type fake websites. If you pay online on a regular basis or you don’t know how cyber security works, this module will help you eliminate the possibility of a phishing threat completely. The Fake Website module behaved without reproach when we tested it for this review. All the phishing-type websites were identified and blocked. Secure VPN and Tune-up are two of the features that can only be accessed if you buy separate modules. The first of them helps you connect to the Internet via a VPN that uses a connection with 256-bit AES encryption. No one will be able to intercept it. If you wish to buy this module separately, you can do it directly from the AVG Internet Security’s interface. The Tune-up option identifies possible problems on your computer. It’s useful for when you wish to improve its speed. This module helps you delete the cache and application logs. It can also help identify outdated software that can possibly turn into a security issue. Tune-up can be bought separately from the antivirus’s interface or from this location. 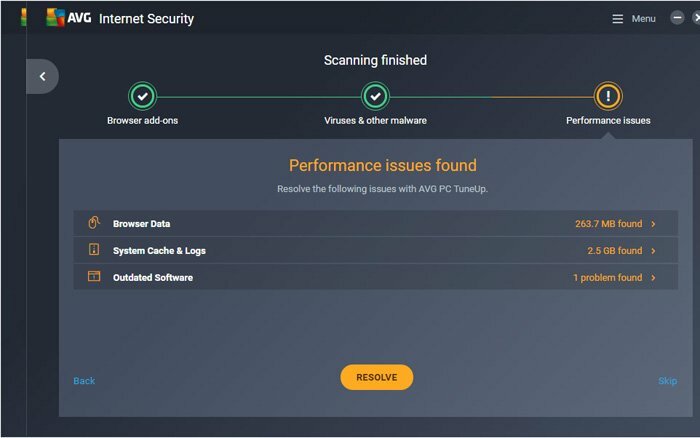 When we review antivirus products, we also test the impact they have on a computer’s speed. The impact of this security solution on systems featuring outdated hardware is visible. However, this only happens in the case of PCs with less than 2GB of RAM and a processor that’s slower than 1.5GHz. Computers with superior configurations don’t slow down as much as the others do with this antivirus on-board. In conclusion, we recommend the product for all PCs that don’t have an outdated hardware. 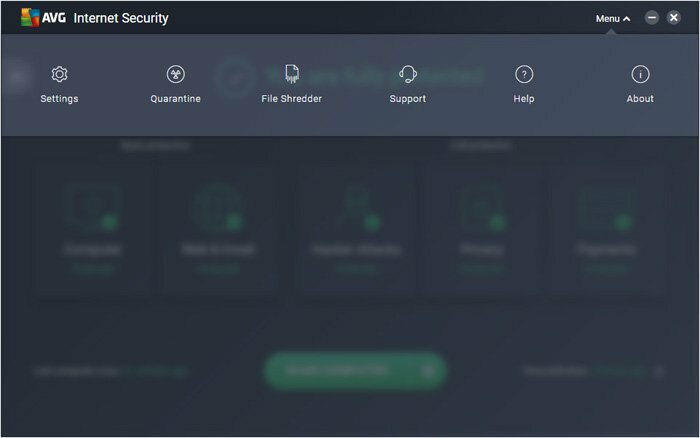 The support offered by the AVG team for all their security suites is excellent. 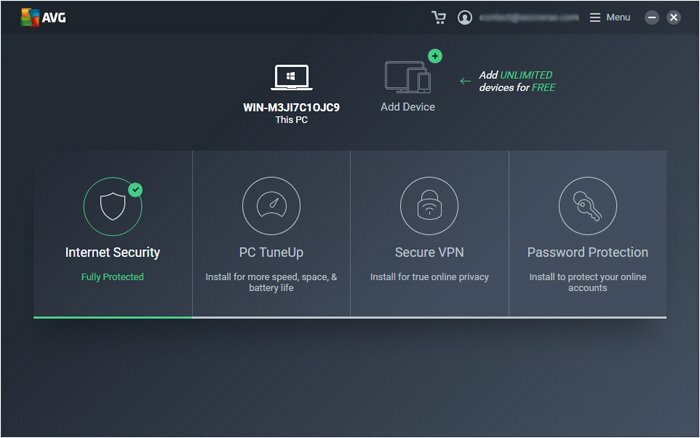 It can be accessed either directly from the interface of the 2019 version of this antivirus or via the manufacturer’s official website. The Support area is very intuitive. All the necessary information is easy to find and understand. If you meet a situation that’s not featured on the site’s data base, the support team will be there to help. We tested the way the support team offered information. Their answers were very professional and easy to understand every single time. You can contact them 24/7 and they offer helpful answers both via email and telephone. Our personal experience with the support team was very pleasant. If you decide to use this security solution, you can bet you’ll receive help in every situation. The AVG Internet Security 2019 is only $63.99. For this price you’ll receive protection for an unlimited number of devices, both desktop (Windows, Mac) and mobile (Android). By buying a license, you can protect your whole family against online threats. Every independent organization that reviews security solutions agree that the AVG Internet Security 2019 is a top-notch product with excellent results in tests. Both the AV-Comparatives and the AV-Test have awarded very high scores for this antivirus thanks to the strong protection it offers against cyber attacks. 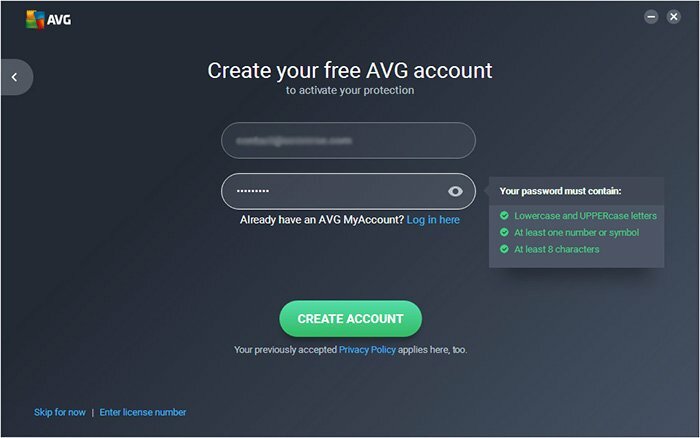 AVG offer a series of associated products for this security solution. Here they are: AVG Ultimate (excluding the features that come with the Internet Security 2019 and the TuneUp module), AVG Antivirus 2019 for Mac, and AVG Antivirus for Android. The AVG Ultimate features complete protection for an unlimited number of devices. It also comes with the possibility to optimize systems where it’s installed via TuneUp. All for only $79.99. It’s a very good deal considering the unlimited number of devices that end up protected, as well as just how much their performance can be improved. Good scanning speed and a reduced number of false-positive alerts. Visible impact on systems with an outdated hardware. The 2019 version of the AVG Internet Security is the perfect choice for everyone wanting to protect an unlimited number of devices for a reasonable price. By integrating antivirus, anti-ransomware and anti-phishing protection, the AVG succeeds in offering an excellent product at a very competitive price once again. 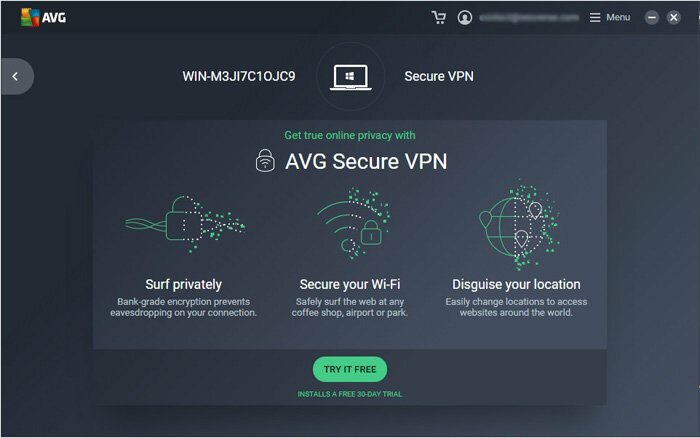 AVG Internet Security 2019 offers complete antivirus protection at an excellent price. 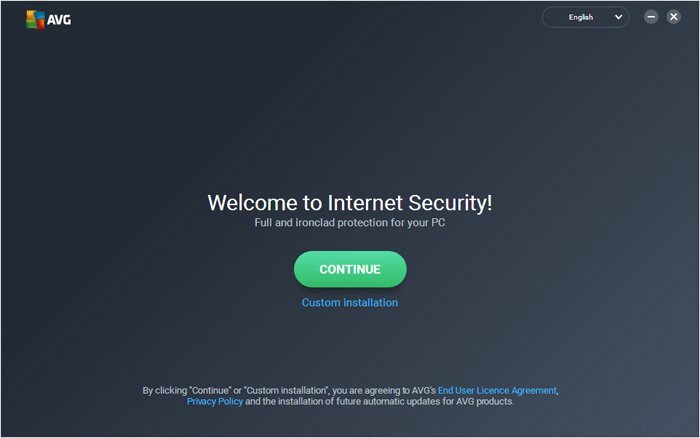 Do you want to buy and install the latest version of the AVG Internet Security? By going to this link you can get complete protection for an unlimited number of devices (Windows, Mac, Android) for only $55.99. If you prefer the same protection package and the TuneUp option, AVG Ultimate is what you need. The product is available here for only $79.99. If you still have doubts about getting a product with antivirus and antiransomware protection, think of the record number of cyber attacks that affected 2017. Every 40 seconds, a computer had to deal with such a dangerous threat. By choosing the AVG Internet Security, you make sure you and your family won’t lose important data when a cyber attack happens.